The NPD Group says U.S. book sales notched a 1.3% gain to 696 million units, with five titles selling more than 1 million copies each. In 2017, only two titles managed to do so well. “Becoming” has already sold more than 3 million copies, despite its November release. And CNN reports that the title, still No. 1 on Amazon’s constantly updated list of best-sellers, is riding the longest No. 1 streak since 2012’s “Fifty Shades of Grey,” and breaking every political book or public-figure memoir’s record. 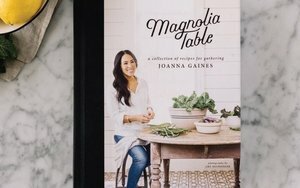 NPD says the other titles to top the 1 million mark are “Magnolia Table,” by Joanna Gaines, the lifestyle brand magnate; “Girl, Wash Your Face,” a self-help title from Rachel Hollis; “Diary of a Wimpy Kid #13: The Meltdown,” latest in the beloved young-adult series from Jeff Kinney; and “Fire and Fury,” Michael Wolff’s controversial take on the Trump White House. Besides political intrigue, sales were also driven by consumers longing to spend more time in the cozy embrace of their couch. “Book publishers experienced strong growth in wellness and comfort books, in categories like self-help, home, and cooking,” says Kristen McLean, books industry analyst for the Port Washington, N.Y.-based market research company, in her report. The industry’s big gains came late in the shopping season, when a 24% boost during Christmas week made up for earlier lags. And consumers were looking for best-sellers and new titles, with year-over-year sales for the top 100 titles rising 21% in December, while sales of titles ranking between 100 and 1,000 slipped 3%. Barnes & Noble says its sales rose 4% from Black Friday through New Year’s Day, and 1.3% for the nine-week holiday period that ended Dec. 29. Those are the best comparable sales gains in several years. Execs credit the increases to the chain's new ad campaign, a beefed-up website and increased markdowns.